You Are Here: Home > Service > Why Choose Service With Us? Why should you get car service at Mercedes-Benz of Colorado Springs versus an independent non certified repair garage? The best part about investing in a new or used car from our dealership is the service you get after you buy. That is the beginning of a lifetime relationship. We want to be your car company for life! We offer the best service value at the best prices. While sales may sell you the first car; our service department will keep you coming back. Our service department staff is passionate about caring for the best vehicles in the world, and committed to keeping your Mercedes-Benz in top performing condition. Our factory-trained & certified technicians have many years of experience and will get you and your Mercedes-Benz back on the road as soon as possible. Most of our technicians are Mercedes-Benz Master Certified. This is the highest rated technician within the Mercedes-Benz Brand. We continually endeavor to keep our technicians at the highest certified levels through ongoing Mercedes-Benz training, testing, and certification programs. We use OEM (original equipment manufacturer) Genuine Mercedes-Benz Parts manufactured for your Mercedes-Benz backed by a 12 month warranty from Mercedes-Benz USA. There is a nationwide dealer network for all of your parts and service needs. If Mercedes-Benz parts are used and labor is done in an authorized Mercedes-Benz facility it is backed at any Mercedes-Benz repair facility in the nation and Canada. You will find Mercedes-Benz of Colorado Springs to be a “One-Stop” car service center offering everything for your Mercedes-Benz including tires, accessories, maintenance, major repair, small paint repairs and detail. What support do we provide in addition to the services we offer? Our services aren’t limited to the shop floor. Even exceptional vehicles need service from time to time to stay in top condition. 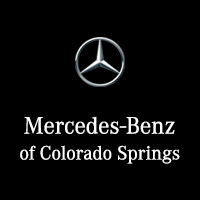 Mercedes-Benz of Colorado Springs offers the following amenities to our service customers – because taking care of your Mercedes-Benz should be a pleasure, not a chore. Loaner Cars – We are pleased to provide loaner vehicles to clients with service appointments. Advance reservations are recommended due to the popularity of this service. Due to insurance liability, the driver of the vehicle must be 21 years of age or older. Shuttle service – Our shuttle service will give you a ride to your home or office when you drop your car off. Why do so many people drive from so far away to get their cars serviced at Mercedes-Benz of Colorado Springs? Simply we give you the service you want at the price you want to pay. That’s why more people get their car serviced here more than any other place in Southern Colorado. You will be completely satisfied. We don’t want to make you a customer for a day. We want to make you a customer for life. You can make your next appointment online for your convenience.